The two-week, 8-show run - which will open in Atlanta, GA on September 21 and includes an appearance at Louisville, KY’s Bourbon & Beyond Festival – arrives in sync with the September 7 release of the rocker’s eleventh studio record, which once again sees him playing most of the instruments himself alongside longtime guitarist Craig Ross. 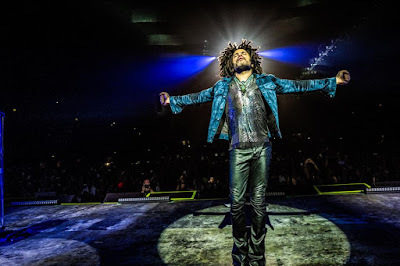 A Lenny Kravitz fan presale for the “Raise Vibration” US tour will begin Tuesday, July 24 at 10am local time (use code "VIBRATION"), with general public tickets available on Friday, July 27. The rocker is currently winding down a summer European trek that will wrap up in Colmar, France on July 30.